I’ve written a review of the Baron Fig Vanguard a few weeks back. 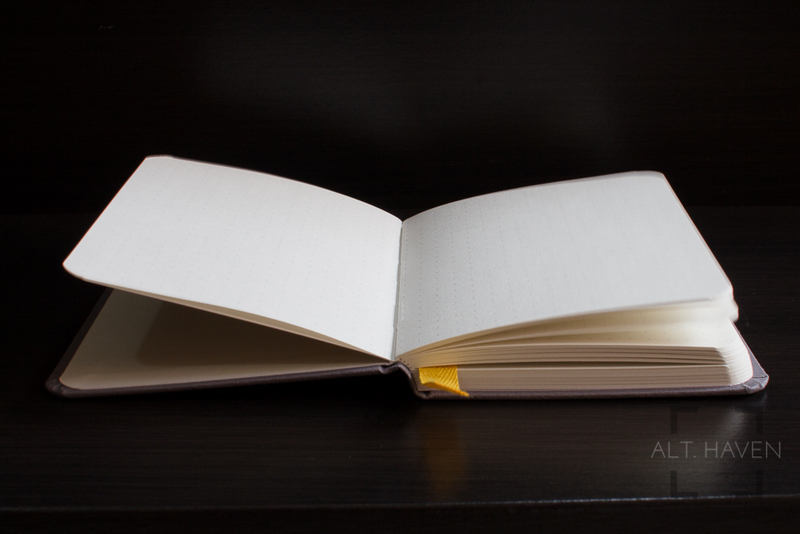 Today I’m back with a review of the Baron Fig Confidant. The difference between this and the Vanguard is the cover. The Confidant is the hard cover notebook line while the Vanguard is the soft cover line. The Confidant comes in 3 sizes similar to the Vanguard. They are namely the Pocket, Flagship and the Plus. They come in 2 colours the Light Gray and the Charcoal with an option of dot grid, lined or blank. They are sold at USD$12, USD$18 and USD$22 each the Pocket, Flagship and Plus sizes respectively. There are 160 pages in the Pocket size. Personally I went for the Charcoal in the Pocket size with dot grid paper. 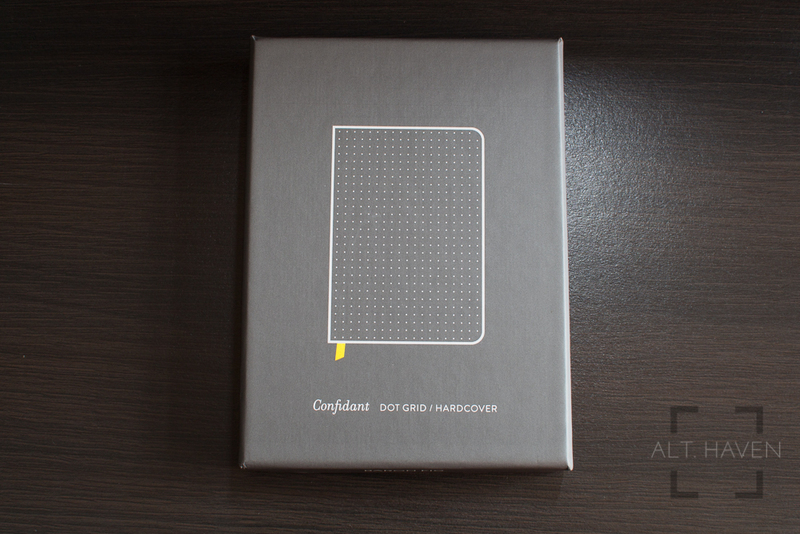 The Confidant has a fabric cover exterior and a yellow ribbon acting as a bookmark. I like how the yellow ribbon matches well with the charcoal grey exterior. The fabric doesn’t feel too rough but there is a definite texture to it. A fabric exterior is definitely different from other notebooks though by no means unique. One problem with the fabric exterior is it gets dirty, easily. The Confidant has only travelled with me in my bag to a pen meet once and I came back with a stain on the cover. I guess that’s why Baron Fig sells a leather cover - the Guardian. However that’s only available for the Flagship size. If you are really keen for a leather cover for your Confidant, I will recommend the countless Etsy leather masters, it’s not hard to get a custom made leather cover. With a little breaking in, the Confidant can lay flat on the table. This makes it easier to write with. The paper is a off white colour with the a-little-too-large grey dots. This complain is the same that I had with the Vanguard. 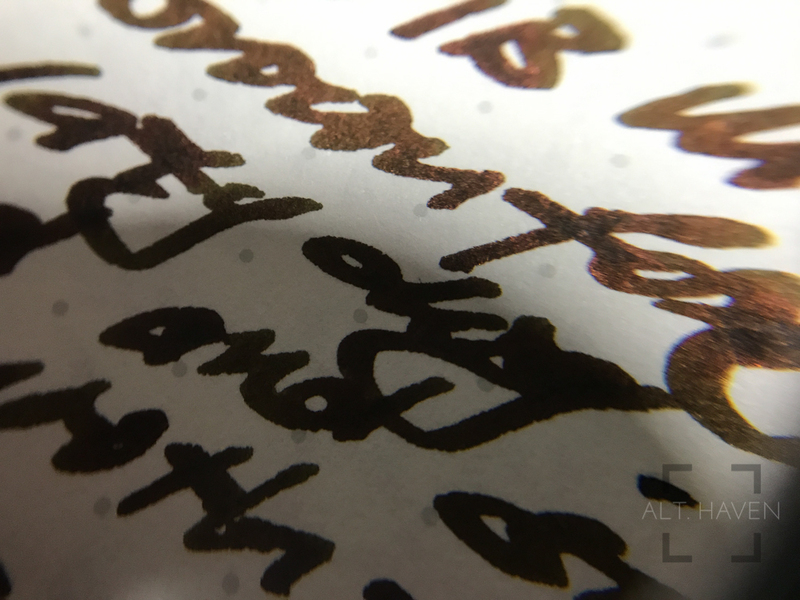 Size of the dot grid aside, I was very surprised with the paper’s ability to take the wettest and broadest nib I tried at a recent pen meet. The nib in question was a Pelikan with a IB nib. No feathering, no bleed through even show through was very minimal. Serious, count me impressed. 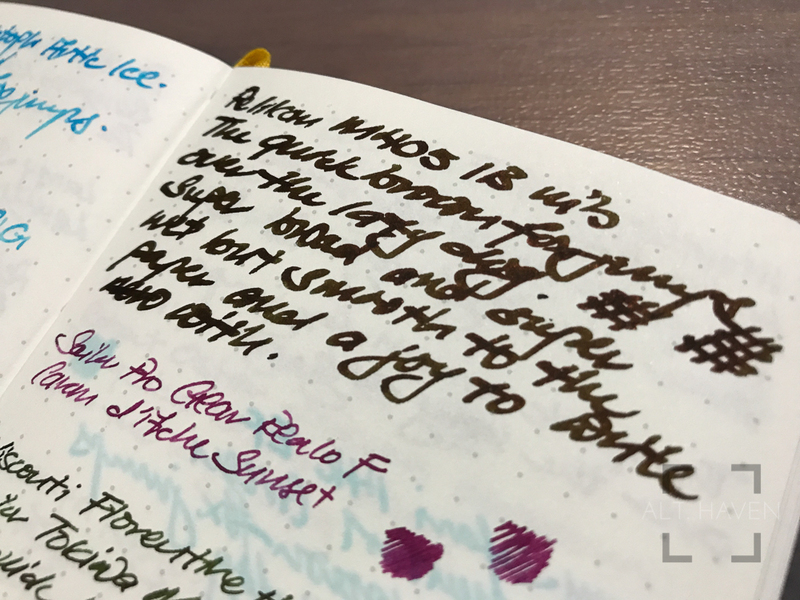 For the price of USD$12 to get 160 pages of excellent fountain pen friendly paper, it is a pretty good deal. A notebook of that capacity will last me a long time. The fabric cover is a little of a double edged sword, yes it is nice and different but it gets dirty easily. I don’t think I would mind if the exterior cover was just a standard thick card stock. 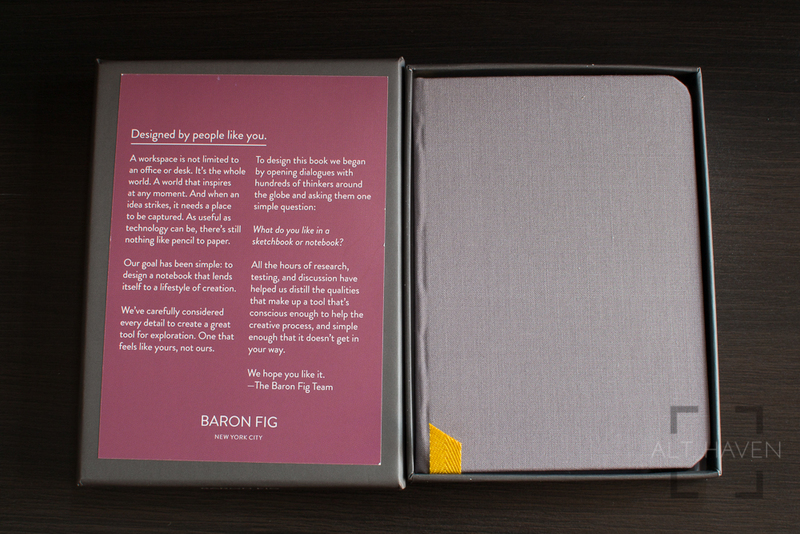 Shipping is the only issue for Baron Fig notebooks for me. Shipping paper is expensive and there are other brands available locally, so there is that to consider as well. However, if you were to give the Confidant a try, I don’t think you will be disappointed with the paper. I purchase this item with my own money.